A driverless John Deere tractor went into destruction derby mode outside a parking lot in Richmond Hill, Ontario. The culprit responsible is still unknown however all the carnage was captured by onlookers who watched helplessly as the tractor ploughed through several parked cars including a Suzuki XS4 and a Toyota Corolla. Not even the building was enough to stop the rampage as the vehicle ripped holes straight into its walls. 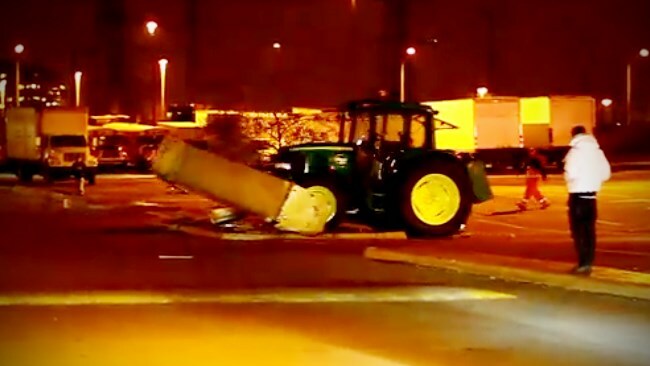 Eventually the tractor ran into a lamp post which slowed it enough for one individual to jump on board and turn it off.